If you are planning your next vacations, look no further. Whether you are planning your honey moon or a family trip with kids or you are adventure freak looking for some adrenaline filled activities, Punta Cana must be your top choice. 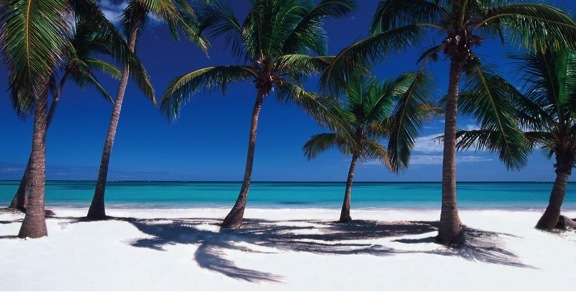 Punta Cana is situated in the easternmost province of the Dominican Republic, which faces both Caribbean and Atlantic. Beautiful crystal clear water beaches, number of activities to do and the best Punta Cana resorts, 5 star hotels are the reason for which, it is very popular destination among tourists. Below are some tips for you, so that you will plan a memorable tour to Punta Cana. The climate here is tropical wet and dry which remains almost same the entire year with a temperature of around 30°C. May and October season are little hot and humid with temperature around 35°C and in November and December you will feel a little cold in the night, the temperature is 20°C during night in these months. Also Punta Cana receives very less rainfall because of its flat geography. So you can visit Punta Cana anytime in the year. Spanish language is the official language of Dominican Republic. Only staff members of the Hotels and Resorts and few locals speak English language. Otherwise majority of the locals in Punta Cana speaks Spanish. So it’s better to learn a little bit of Spanish language before reaching Dominican Republic. Tourist must cautious about the food and water in Punta Cana, because it may increases your chances of getting sick. But if you carefully choose your food and drinks, everything will be fine. It’s better to use bottled water drinks everywhere, instead of the tap water, try to avoid the water getting into mouth during showers and when you brush your teeth, if you not want to spent rest of your holiday near bathroom. According to US health authorities, there is a small risk of malaria, so you must keep mosquito repellent with you visit Punta Cana. However the resorts and other tourist places, regularly spray for mosquitoes. Also the summer months are very hot and humid, so you must also bring sunscreen. Dominican Republic is not a country with high crime rate, but you must be cautious, because foreigner tourists are potential targets for criminal activities. Try to maintain a low profile to avoid any kind of trouble. Keep as much of cash that you need, do not carry your passport, keep a copy of it, stay on the main roads (do not go to the empty streets, which you do not know about). And also must carry telephone number of Police and the resort or hotel where you are staying. The local currency of the country is Dominican Peso, which are around 30-40 pesos per US Dollar and 40-50 pesos per Euro. It is recommended not to convert large amount of currency into local currency, because you may face issue while converting them back. So convert the amount of currency you need. And it is also recommended to convert your currencies through recognized banks instead of local exchange houses. The local ATM’s in the country dispense only in pesos. Local shops, bars, hotels and discos accept payment in dollars but it is cheaper if you try to pay in Pesos. The best option available to reach Punta Cana is there International Airport (Punta Cana International Airport), one of the busiest airports in Caribbean. Also it is first privately owned airport in the Western Hemisphere. It is built by Grupo Puntacana S.A in 1984. 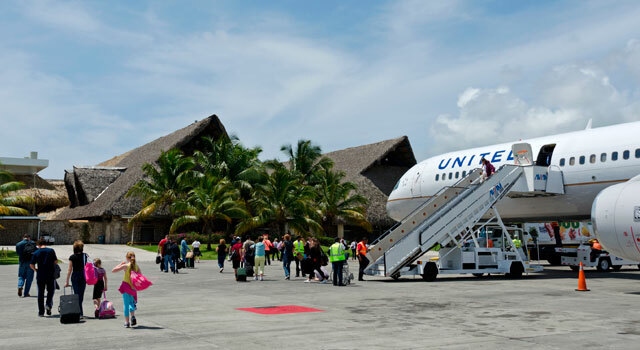 This airport is located at a very prime location, which is just 30-40 away from all the resorts in Punta Cana and also all the major airlines have scheduled flights to this airport, makes it the best airport to reach Punta Cana. Other important things you must know before reaching Punta Cana is, every passenger must buy $10 passenger card before entering the immigration, you must know about the transport options to reach your resort, generally the tour operators or the resort you are checking in provide you transport option. There is also reliable local taxi service available right outside the airport, which you can hire. You can also buy private airport-hotel-airport also, below are some important mentions, Transferspuntacana.com, Discoverymundo.com, Prestige-limousine-service.com, Dominicanlimousine.com, just to name some few. 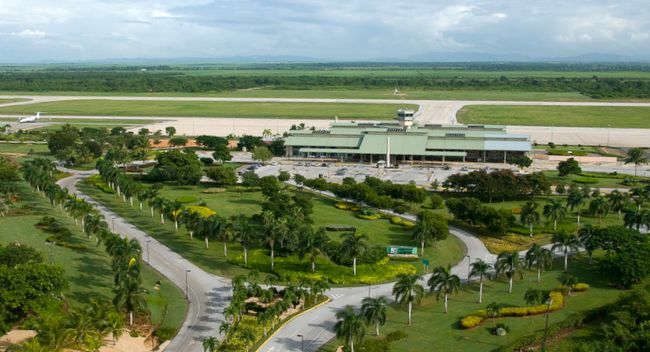 Another option is source La Romana International Airport (which is 70 kilometers form Punta Cana) linked to Punta Cana through, new highway known as the “Autopisa Del Coral”, just takes hardly 40-50 minutes’ drive away from the resorts in the Punta Cana. When departing, you need to go through the luggage screening area, for luggage check (US citizens have to go for an agricultural check) then you will have to go through the security screening and then immigrations before reaching the departure lounge. It is recommended to check in advance about your flight information, what souvenirs, weight and size of luggage allowed to your destination for an easy through the Customs and Security Check and the time at which you ill picked from you Hotel. Also exchange your Pesos in advance from a required place, where you get good exchange rates. Try to arrive a little early from your scheduled pickup. Also you need to submit the tourist card which you filled at the time of your arrival. You also need to pay a $20 amount, per person as your departure tax. And for information please visit IATA for Custom Rules and regulations. Punta Cana is full of very large and classy all-inclusive resorts and 5 star hotels. Which features all sorts of amenities from, best rooms and suites with stunning oceanic view, top class cuisine, own private beaches, fitness center, sports centers, clubs and signature golf courses. Activities like scuba diving, surfing, stand up paddle boarding, snorkeling, horse-riding etc. Barcelo Bavaro Beach resort located at a distance of 20 kilometers away from Punta Cana International Airport. It is located right on the Bavara beach (around 12 km of white sand beach). It is an all-inclusive resort with 600 rooms featuring all sorts of facilities and providing all sorts of amenities, like swimming pools, Gym, golf courses, clubs and discs etc. Only Member of Relais & Châteaux hotel in Punta Cana, a boutique resort which offers you outstanding suites and villas equipped with private pools and amazing views of the beach. All facilities like WIFI, Flat Screen TV, minibars and Whirlpool tubs are some of the features. Other amenities like gym, spa, kid’s club and swim-up bars are also available. An all-inclusive, music themed casino resort, situates Just 3 kilometers from Arena Gorda beach and 3.4 km from the DR-105 Autopista in Punta Cana. This property includes 9 restaurants, 13 pools, private beach, casino, spa, Jack Nicklaus designed golf course and classy suites with stunning views. The Westin Punta Cana, a top destination among Punta Cana resorts, which is situated just 4.4 kilometers from Punta Cana International airport. Facing 3 miles of powdery white sand beaches alongside the Caribbean, this resort offers you modern rooms and suites with their private balconies and living areas (including all facilities like WIFI, Flat TV, minibars etc. ), world class spa, 2 championship golf courses, sports center, kid’s club, meeting and banquets halls. Some other important mentions are Iberostar Grand Hotel Bavaro, Majestic Elegance Punta Cana, Majestic Colonial Punta Cana, Melia Caribe Tropical and Paradisus Punta Cana. Punta Cana has options for everyone, whether you are honeymoon or a family trip or you are looking for some adrenaline rush. All sorts of activities like off road tours on 4*4 vehicles, enjoying catamaran rides with drinks and music, zip line rides, bungee jumping, mountain biking, horse-back riding, scuba diving, surfing, stand up paddle boarding, snorkeling and swimming sea species (fur seal, dolphins and stingrays), cave excursions, visits to nature reserve (monkey reserve in Anamuya), enjoy the natural spa with Dr. Fish, hot air balloon trip, helicopter trip for sight-seeing and visits to local coffee and cigar makers.